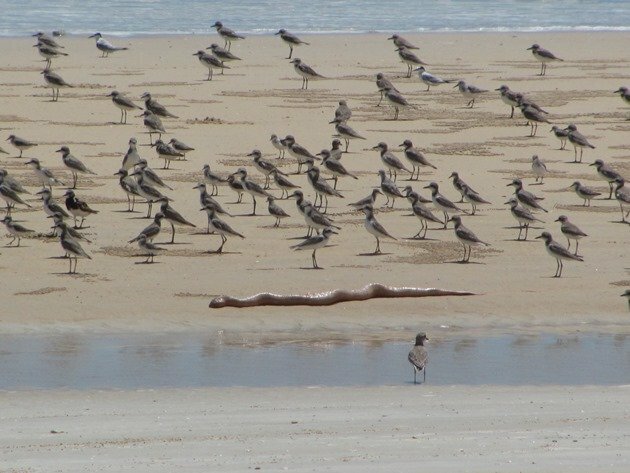 Have you ever wondered what happens when a sea snake comes ashore and there are shorebirds present? Usually when a sea snake comes ashore it is not very well and unlikely to survive, but birds are partially curious and partially cautious! 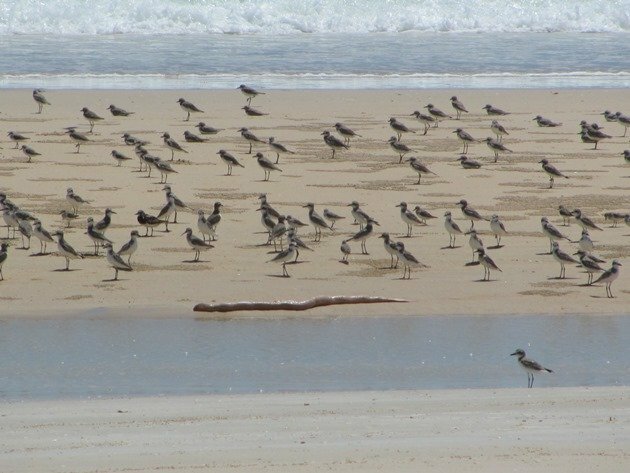 On this particular occasion the shorebird flock was mostly Greater Sand Plovers with a few Red-necked Stints among them. As you can see from the photographs the sea snake was of a decent size and we were not able to identify it conclusively from the distance we were at, but it could have been an Olive Sea Snake. 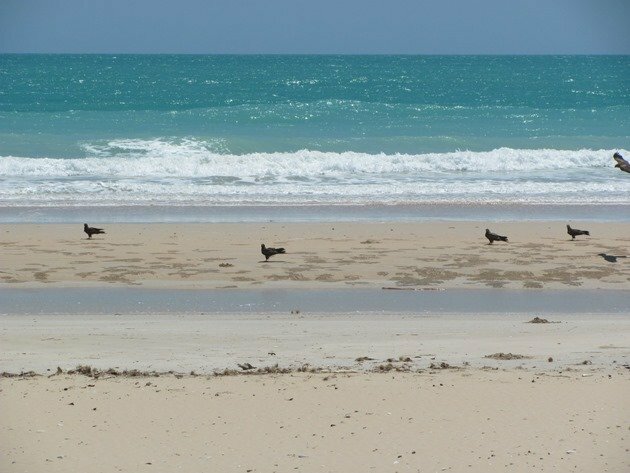 As you all know from a previous post we do have a few creatures to watch out for around Broome’s coastline! 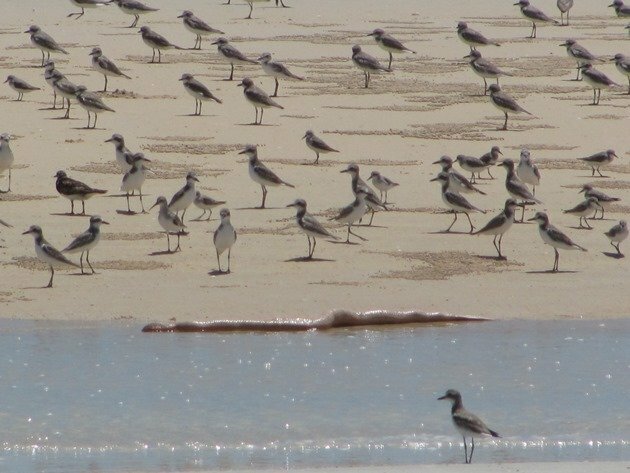 It was interesting watch the interaction with the shorebirds and the sea snake and they did appear to know it was not in good health by its complete lack of movement. 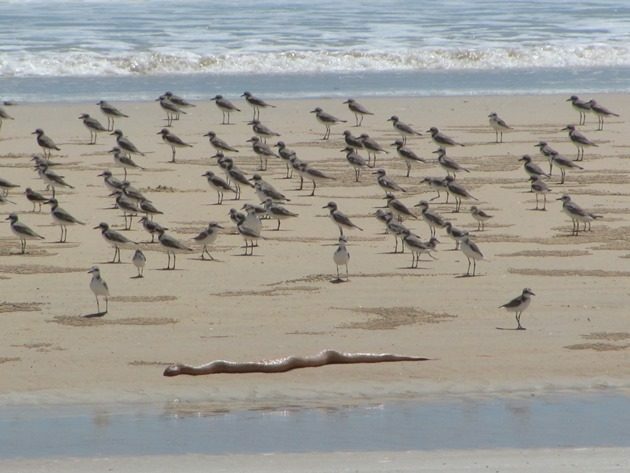 Shorebirds observing a Sea Snake! All of a sudden out of nowhere there were Black Kites, which are notoriously good at knowing when there is something of interest. The shorebirds soon left and we did too. There was no doubt as to what was going to happen next and we did not need to stay and watch. Had the sea snake not been in such an unhealthy state then we would have returned it to the sea like we have in the past, but on this occasion it was not possible. 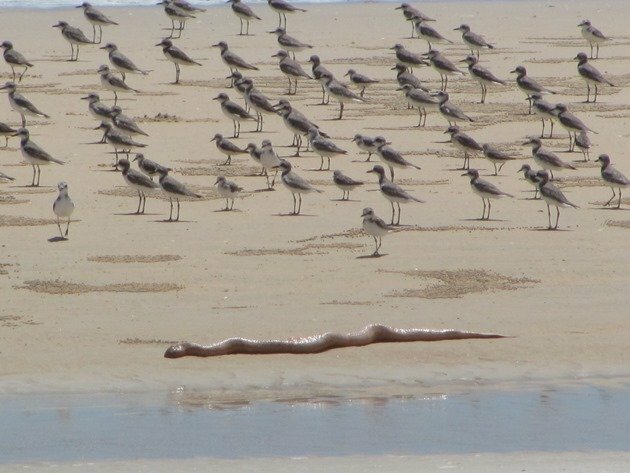 It is always interesting to watch the interaction between different creatures, but on this occasion it was not going to end well for the sea snake. How interesting to find a sea snake ashore like that. ….We had a Sun-spot Moray Eel, get trapped by the tidal one morning, down in La Paz. Several herons and egrets all stopped by, just in case it might make a meal, but it was still in much better health than your sea snake. Long time locals said it was a very rare occurrence. Interaction among other creatures and sea snakes is always interesting and obviously eels too!